Discussion in 'Off-Topic' started by Cheetah, Apr 15, 2019. I can haz updates my signatures too!! we will drink tea and carry on"
The main spire has collapsed. I'd hate to be the person deemed responsible. Whooboy. Might have to leave the country. I posted it first in the bizarre news thread thinking it was not that serious, but obviously this need its own thread now. caketastydelish, haroon, Josu and 6 others like this. RIP nice building. France will have to figure out how to keep playing without the +2 in every city on their continent. An industrial society can afford to be free. haroon and Mouthwash like this. 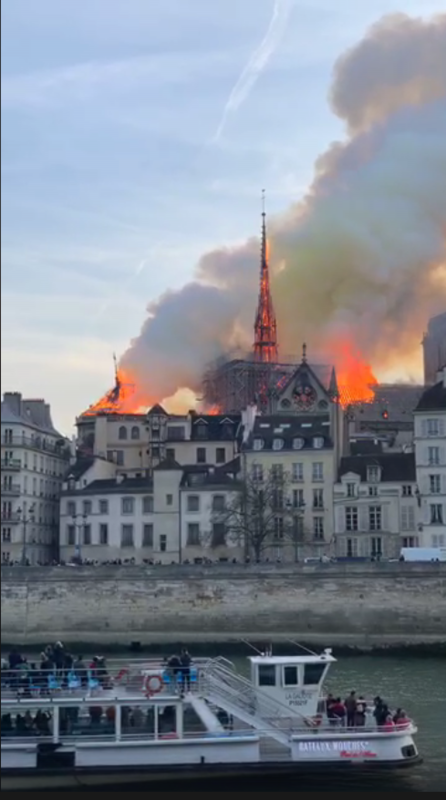 They are doing some heavy works at the nave roof and it seems the fire started just there. Maybe some negligent worker left a cigarette next to a thinner can? The spire is only about a hundred years old if I understand correctly, I just hope it does not spread to much into the 900 year parts. Spire was from a restoration in 1844. Of course they will rebuild it! Ah @Marla_Singer our hearts are with you. The thief left it behind, the moon at the window. Which came first: Consciousness > Matter or Matter > Consciousness? About 150 years old, and there was 20th century glass in it as well. The original one was removed in the late 1700s after having been basically destroyed by wind and time. The real bummer is the fire just keeps going and has gotten to the super old wood and original stained glass. A lot of these monuments are basically running real time ship of theseus examples. Turkey has had to replace and renovate like everything over the years thanks to earthquakes. That worker is soo getting fired. On a serious note, It is so tragic. 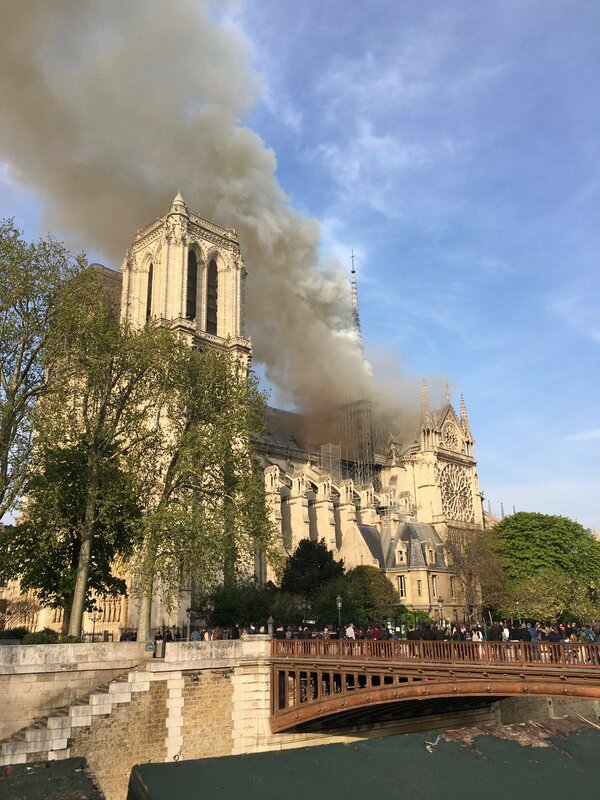 Notre Dame cathedral is a cultural and religious wonder. It is a huge loss. Yes it will be rebuilt but much will be lost. Old cathedrals have more wood than one would think. They burn pretty well. Nobody considering terrorist job yet? I took this very bad photo in 1964 in front of ND while they were filming "Is Paris Burning". 200 years to build, virtually gone in a few hours. The most visited tourist site in Europe apparently, besides the Great Bazaar in Istanbul. A bit of our western cultural heritage turned into smoke. BTW, It seem they are going to save the two big towers at least.